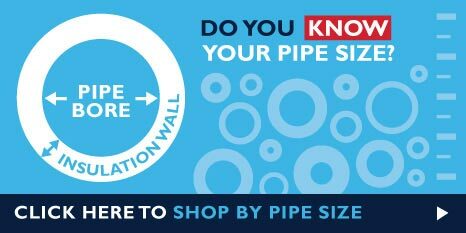 Our Pipe Insulation products are suitable for all applications within the Heating, Ventilation, Air Conditioning and Plumbing sectors. We have pipe lagging for every size of pipe, and we can supply each size in varying insulation thicknesses. This means you can insulate your plumbing pipes at home, or you may be a contractor working on large scale industrial pipes. We have the product to suit your needs! Why not give us a call and we can advise you on the correct size and type of insulation you require. In addition to our vast range of pipe insulation, we also stock all types of building insulation. Our comprehensive range includes thermal wall slabs, duct wrapping and loft insulation rolls. We also supply a wide range of soundproofing systems and acoustic foams, as well as various foam safety products including scaffold padding protection. So, if you're looking for pipe insulation and pipe lagging for your next plumbing, HVAC or Air Conditioning job, then look no further than PipeLagging.com. Our website is easy to use, and of course, our payment systems are completely secure. Alternatively, give our friendly sales team a call on: 0161 775 1190, and they will be happy to help with any questions you may have.